Ryan, in all my years of growing marijuana, I have never come across a guide that is more complete, easy-to-read, and full of useful tips for getting the most out of your bud. My friends still can't believe how big these nugs are, and neither can I!!!!! The buds grow quicker than lightning, have a fruity taste, and the high is pure bliss. It's finally here! 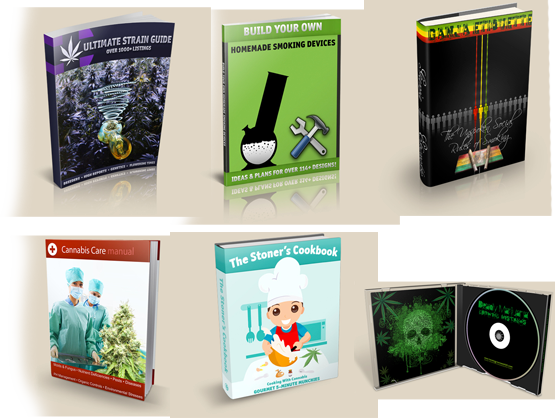 The LEGENDARY brand new eBook features 748 (yes - you read that correctly) pages of the most up-to-date grow information encompassing virtually EVERYTHING you will ever need to know for how to grow your own mind blowing top-caliber medical-grade Marijuana. It combines over 20+ years of growing medicinal marijuana(the highest standard of bud quality known today) knowledge all distilled down into one awesome guide. This legendary 748 page weed growing BIBLE is jam-packed with breathtaking beautiful high quality HD images, easy to understand essential charts, tables, and graphs that makes EVERY step of growing and maintaining your marijuana plants so fun and crystal clear that even 80 year old grandmas could grow their own killer herb(and they have!). 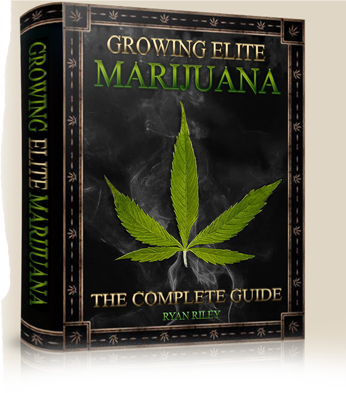 NOTE: Growing Elite Marijuana is a down-loadable e-book. No physical products will be shipped. After you order, you will get INSTANT ACCESS to dowload the e-book and all the bonuses onto your computer. The e-book format is Adobe Acrobat PDF, which can be viewed on Mac or PC. Refunds will NOT be given if you fail to read the product description. "I've been growing my own marijuana for about 12 years now and this book has allowed me to make fine-tunings that has made a dramatic effect on the quality of weed I'm now producing. A great resource for anyone out there... beginner or seasoned professional." "Incredible e-book. This is by far, the most complete guide ever written about Marijuana cultivation. The e-book is easy to read and well organized. I own almost every marijuana cultivation book ever made but this is by far the best I have ever seen." "So much good stuff in here. Great for beginners if you plan on really getting in to it. Ryan is a passionate genius." "Great book, lots of pictures easy to understand, every question you might have is answered in this book. Don't grow without it!" "OMG!!!!!! Three words: BIG. DANK. BUDS. These buds are gorgeous!!! I still can't believe how fast they are growing!!!! I'm by no means a 'newbie' but let's just say I havent exactly had a 'green thumb' in the past ;). This is the first time in my life I've been able to enjoy my own homegrown supply of rare cannabis. (not like that stale weeks-old bud you see in dispensaries that's rush harvested for profits) My friends keep commenting how they've never seen nugs so BIG & STICKY like this!!!! Ryan I tried out the raspberry strain like you said and OMG WOW these buds are spectacular! But you probably already knew that! Your Guide makes this experience magical. You've made it all SO EASY!!! Thanks so much Ryan!" "My daughter heard about this e-book to learn how to grow medical marijuana to treat people with ailments who are suffering chronic pain. The guide has helped her endlessly and it is recommended to anyone who wants to grow amazing marijuana for themselves." © 2011-2013 HowToGrowWeed.com. All Rights Reserved.